3 night's accommodation in Moshi. Extra nights are available at an additional cost. *Based on Twin Share - Breakfasts included. Services of PNG Trekking Adventures highly experienced tour leader/guide. Airport Transfers: Kilimanjaro Airport-Moshi return. Small groups we want our clients to have a very personal journey and not just be a number. Cultural and environment aspects of the mountain. Enrollment in the Flying Doctor Service for emergency evacuation insurance. Mount Kilimanjaro climbing permit & Crater Permit. 7 night accommodation in mountain tents. We use the highest quality expedition tents. Based on twin share. Services of our own trained English-speaking mountain guide, and a skilled cook (serving as a porter), and enough porters for your luggage, food, and water, and a dinning tent. African crew accommodation, food and repatriation back home. Road transfers to start of the climb and back to your hotel. Oxygen and Helmet's are supplied for all crater expeditions. Please do not underestimate how cold it can get on Mt Kilimanjaro. Sixth Layer - Down (lightweight) or pile jacket. Wear this at night when arrive at camp and whilst having lunch. Socks x 3-Opossum hair socks are fantastic as they don’t smell and are extremely warm. They can be worn for up to 5 days without being washed. Trekking Boots-Ankle high waterproof boots (Gortex probably best). Make sure there is plenty of room at the front for toes when going downhill. 3-4 stuff sacks. (Sea to Sky larger ones are better, 1 of these is needed for your sleeping bag. Runners or similar for at night. We have crocks lined with lamb’s wool. Day Pack-Must be 35 litres and comfortable. 1 water bottle Nalgene 900ml-water an ordinary bottle freezes on summit climb. Camera, spare batteries and memory card. No power or cell phone coverage on mountain. *Diamox-See your Dr about this AMS drug. You may feel queasy from the altitude when climbing. Please feel free to bring along some nibbles e.g sweets that you particularly like. Anything that you think you can keep digested. Recommended dose 125 to 250mg twice daily starting one or two days prior to and continuing for three days once the highest altitude is reached, is effective. No medication should be taken without Dr's approval. Please do not hesitate to ask any questions about the above list. Standing Astride the equator, yet permanently snow-capped, Mount Kilimanjaro is Africa's rooftop and the world's highest freestanding mountain. Surrounded by some of the world's greatest game reserves, Kilimanjaro towers above these hot, fertile plains like a massive sentinel, beckoning adventurers to climb her. Many travellers are attracted to her highest point-Uhuru Peak on Kibo - which can be reached by several easy walking or scrambling tracks. The two main summits of Kilimanjaro: craggy Mawenzi, 5149m, and 'flat-altitude, semi-desert. 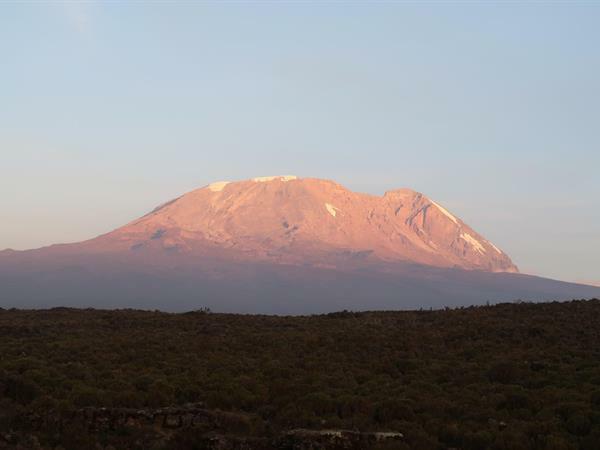 Kilimanjaro possesses a whole range of environments including the summit glaciers, screes, cliffs, afro-alpine moorland then forests, which lead down to cultivated foothills. PNG Trekking Adventures takes the Lemosho and Crater Camp Track. The Lemosho Track is an unspoilt, remote, little used and beautiful way up to the Shira Plateau. The Lemosho Glades are rich in buffalo, elephant and other big game animals. We choose to reach the summit via the Arrow Glacier route, also referred to as the Western Breach approach. This route includes camping at Arrow Glacier and the Crater camp before a short 2 hour climb to the summit. The overnight camping at and the climb from Arrow Glazier to the Crater camp is often referred to as dangerous due to glacial rock movement. It is not uncommon to hear rock falls during the night and to experience loose rock and melting ice on the ascent to the crater camp. The path is directly up a rocky amphitheater and often requires strenuous scrambling over steep rock. It is not technical but definitely requires more fitness and strength than the standard routes up Mt Kilimanjaro. Our guides are extremely experienced and are among only a few who are confident to use this route. Follow up your Kilimanjaro Summit and take a Masai Mara Safari, followed by trekking up to see the Silver Back Gorilla's in Rwanda. Friends and family that may not wish to climb the mountain but would like to do the Safari or Gorilla's we can organise for them to come across to Moshi in Tanzania a couple of days prior to the climb finishing. We can transport them out to the gates of Kilimanjaro to be there when the group comes off the mountain. Our Team: Group accompanied by experienced PNGTA guide. Guide ratio.1:2 trekkers. Success: Likely the highest success rate of any guide service with nearly 100% due to longer summit itinerary. Safety: We carry oxygen, helmets, med kits, satellite phone and local communications equipment on each expedition. We have a 100% safety record. Clients will sign a waiver with TANAPA for this route as it is not without risk due to rock fall. Wearing helmets and taking oxygen is compulsory. Food: We offer carefully planned, nutritious meals, prepared by trained chefs on the mountain. Dietary requirements can be catered for. Experience: Our guides are extremely experienced and are among only a few who are confident to use this route. Depart hotel after breakfast or early afternoon depending on flight schedules. Transfer to airport for homeward journey or continue on safari extension. OR go on Safari. Please make inquiries. Clients can forfeit the Rest Day on Day 9 if time poor. Clients will have to sign a waiver with TANAPA for this route as it's not without risk due to rock fall and wearing helmets is a must. Price includes helmets.